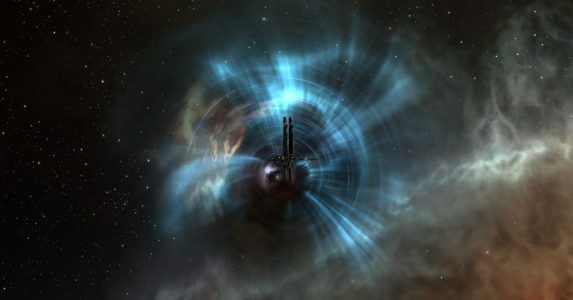 This piece is the first in the ‘New Capsuleers Welcome’ series; an array of articles with the purpose of exploring a diverse range of possibilities in New Eden which are open to new players. For our first feature, we’re going to be focusing on Signal Cartel, a unique exploration-focused corporation within New Eden. In order to find out more about the corp, we sat down with Mynxee, the CEO of Signal Cartel; Thrice Hapus, the COO of Signal Cartel; and Johnny Splunk, the CEO of EvE-Scout. Johnny and Mynxee are co-founders of Signal Cartel. In order to understand the origins of Signal Cartel, it’s important to understand EvE-Scout Enclave, the umbrella alliance which encompasses Signal Cartel and its sister corporation, EvE-Scout. 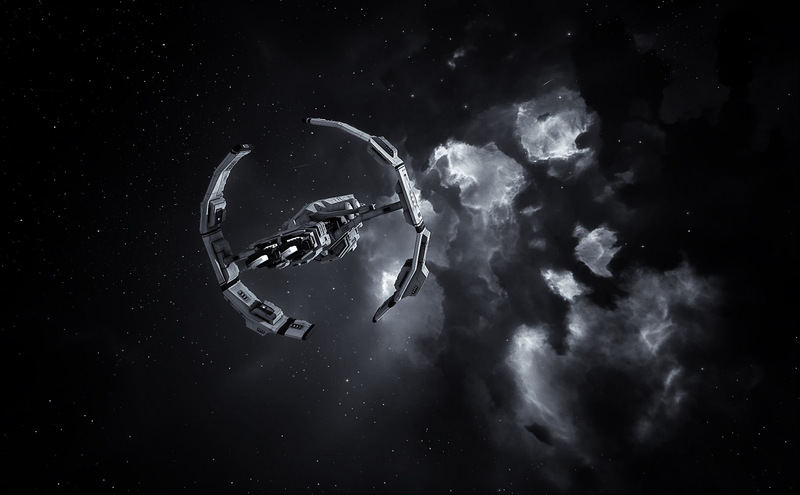 In December 2014, the Rhea expansion introduced Thera; a special shattered j-space system with NPC stations, no anchorable structures, and increased connectivity to k-space with a dozen or more wormhole connections to high-, low-, and null-sec space at any given time. 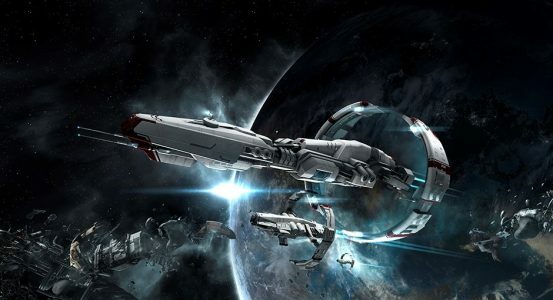 Due to Thera’s status as a j-space system, it can’t be accessed via traditional stargates; instead, connecting wormholes have to be probed down using scanner probes. 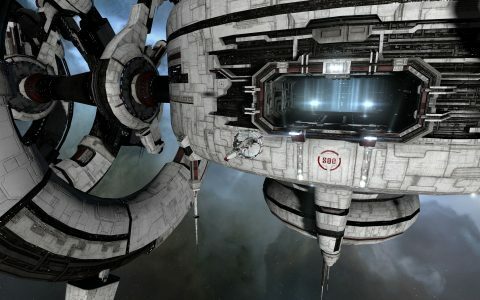 EvE-Scout’s purpose was to maintain a list of systems connecting to Thera, available to all of New Eden, and funded by public donations. Then, pilots need only navigate to a connected system and scan down the entrance to Thera themselves, referencing the signature ID listed on the EvE-Scout site. Originally, Thera scanning was outsourced to members of corporations from across New Eden, but as Mynxee explains it, “the scouts wanted a community, so Johnny and G8Keeper (the original founders of EvE-Scout) decided to make a corp”. Mynxee, a former low sec pirate and active scanner for EvE-Scout, was recruited to CEO the new organization. And so, in the most unlikely of homes — Thera, a system renowned for harsh PvP, within j-space which is rarely thought of as newbie friendly — Signal Cartel was launched on the 31st January 2015. One of the points which all three of my interviewees were keen to stress the importance of was Signal Cartel’s Credo; a document which serves as the foundation of the corp’s culture and describes their mission and what they stand for: neutral, peaceful, friendly, service oriented, and gracious in challenging situations. I went into the interview with the assumption — which I think many share — that Signal Cartel’s stance on PvP was similar to Provi-bloc’s NRDS (not red, don’t shoot). 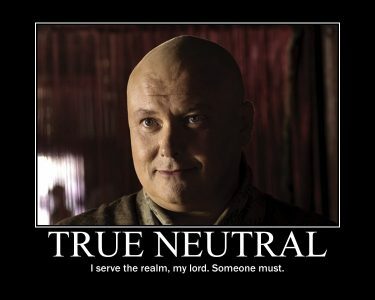 I was quickly told otherwise by Mynxee: “We are true neutrals and thus treat everyone the same. Playing as neutrals is REALLY hard, especially in a corp of good-hearted folks who want to help others. It was a shocker to some of our members, for example, when they learned that ‘no, you are not allowed to tell poor newbie explorers about the config of the gatecamp they are heading toward, because then you have sided with them in a potential conflict and are no longer neutral’. Aggression is only allowed in self-defense. I was told the story of John Young, known internally as the ‘Bulletproof Monk’ because when attacked in a relic site, he proceeded to destroy four of his attackers and save his own ship and its valuable loot. Combat prowess is, however, definitely not the focus of Signal Cartel. This is a corporation which celebrates its “98% snuggly” killboard, prides itself on its neutrality, and focuses on providing services to the rest of New Eden. So what does Signal Cartel do? Exploration is at the heart of Signal Cartel’s mission. 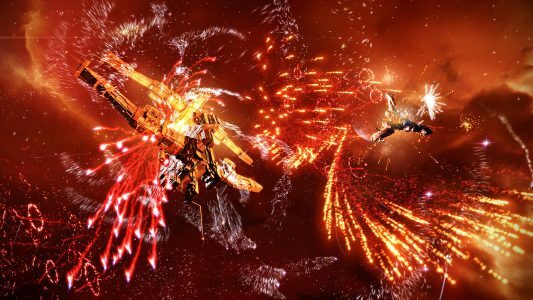 New players are given access to an infinite supply of fully fitted tech 1 exploration frigates, offered skill plans to get into more effective exploration ships, and assisted with fittings to do the more difficult sites dotted throughout New Eden. As Johnny Splunk noted, it’s a great match for new players; far more interesting than orbiting a site in a Vexor Navy Issue or mining in a Venture, and potentially very rewarding given the low skillpoint requirement to get into the trade. However, that’s far from all the corp offers. One of Signal Cartel’s most unique services is EvE-Scout Rescue. You see, it’s very easy to get trapped in j-space without a way out. Maybe you lost connection or had to leave during a fleet and reconnected to find your entrance hole is gone, or maybe you lost your ship but managed to extract your capsule with expensive implants, or maybe you lost your probes to a disconnect; if you don’t have a probe launcher available to you, your choices are stark: shout to the locals, who may or may not be present, and may or may not be friendly; or self-destruct yourself back into k-space. Signal Cartel’s rescue service provides a third option: capsuleers can submit a ‘911 call’ to Signal Cartel. The first type of rescue is an emergency cache, a small passworded container which contains a probe launcher and some scanner probes. Signal Cartel members place and tend these containers, for which they earn a small fee per cache. Assuming you have a ship and a mobile depot or a probe launcher already fitted, this will give you the ability to scan your own way out of the wormhole. These are seeded by Signal Cartel pilots in approximately 75% of j-space systems currently, a percentage that continues to rise.. The second type of rescue is a search and rescue (SAR) mission, whereby Signal Cartel will try to use their extensive wormhole maps to find the system you’re trapped in and help you out of j-space. This can take a while due to the sheer size of j-space, and is intended to help those who can’t be helped by the caches, and don’t want to self destruct an expensive ship or capsule. Rescues often involve significant coordination between Signal Cartel pilots and the stranded pilot over several days. In addition to solo exploration and rescue work, there are a wide variety of other activities within Signal Cartel: lore and roleplay; training sessions; fleets to do sleeper sites; hug fleets, where Signal members go and find unsuspecting pilots as though hunting for PvP targets and instead bombard them with snowballs and fireworks; scanning the Thera entrances (which pays participants per signature that they scan and log); and a highly active community in game, on their forums, and on their Discord server. And what do the members say? Signal Cartel is far from conventional, but the corporation is very active, and offers an incredibly unique playstyle and perspective which — if exploring New Eden, providing services to other players, and really being a neutral entity in a very divisive and factional galaxy appeals to you — just might be your corp for life. I’m interested, how can I find out more? Signal Cartel has a guide to joining on their website, is a major part of the EvE-Scout Enclave public Discord server, and has a public (and very active) in-game channel: EvE-Scout. Any questions you may have about the corp can be answered there by the corp’s recruiters or members, many of whom are present in the channel. Credit for the header image goes to the EvE-Scout Observatory. I want to voice my respect for your kindness for individuals who really need help with this important subject matter. Your special commitment to passing the solution throughout has been certainly useful and have truly permitted others just like me to attain their desired goals. Your entire useful facts entails a lot to me and even further to my office colleagues. Many thanks; from everyone of us. I have been exploring for a bit for any high-quality articles or weblog posts in this sort of house . Exploring in Yahoo I at last stumbled upon this site. Reading this info So i?¦m glad to show that I’ve a very excellent uncanny feeling I found out just what I needed. I most surely will make certain to do not fail to remember this website and give it a look regularly. It is in reality a great and useful piece of information. I am satisfied that you shared this helpful information with us. Please stay us informed like this. Thanks for sharing. hW2ixD I really liked your blog post.Really thank you! Want more.